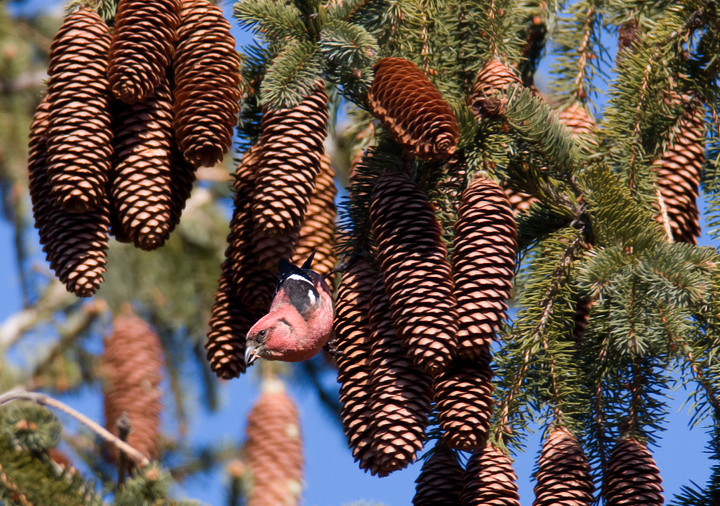 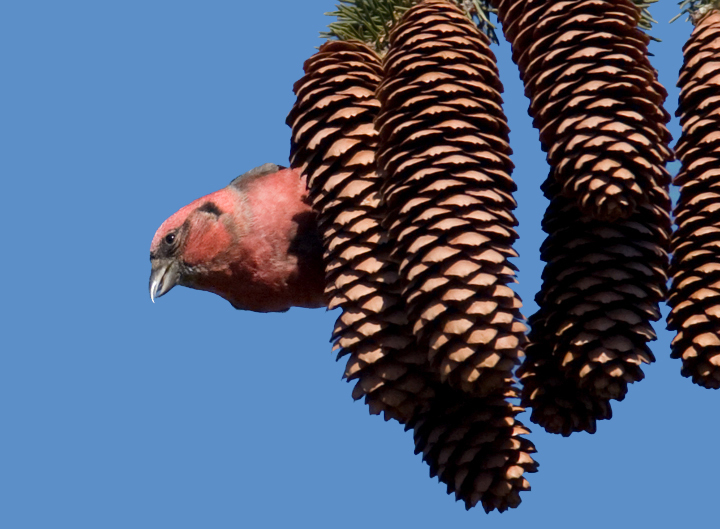 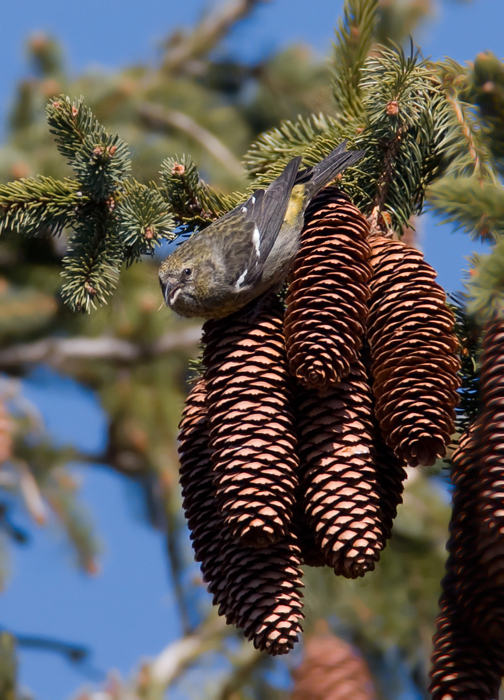 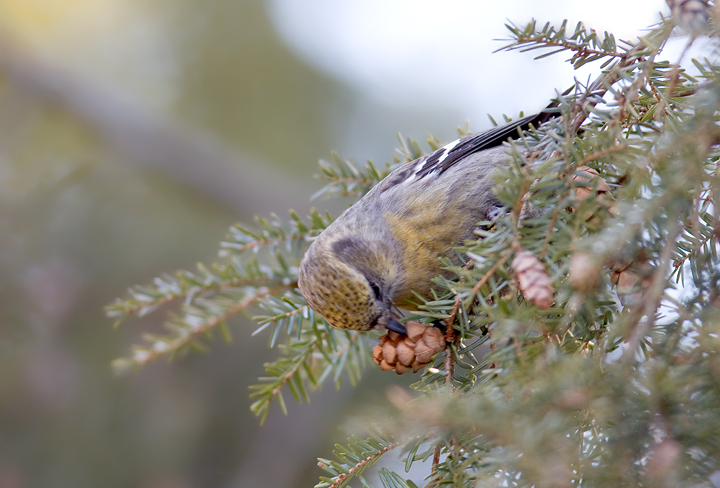 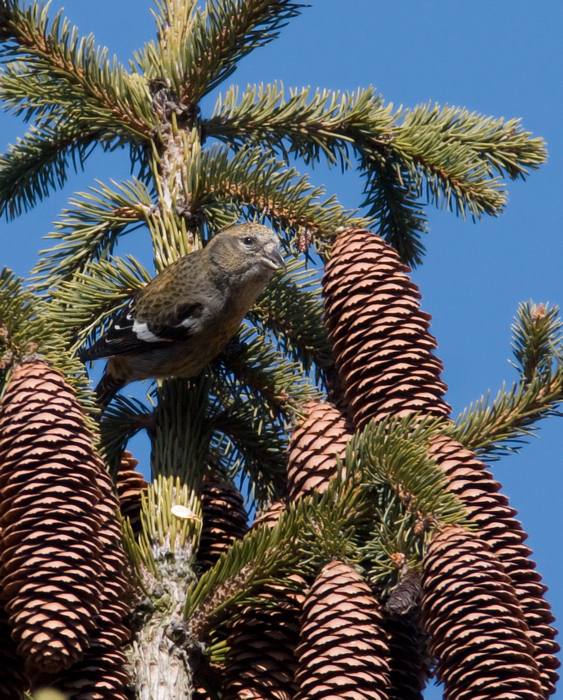 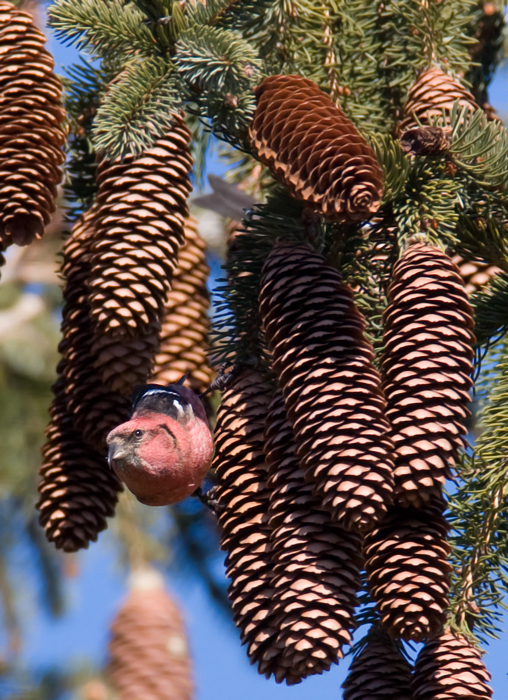 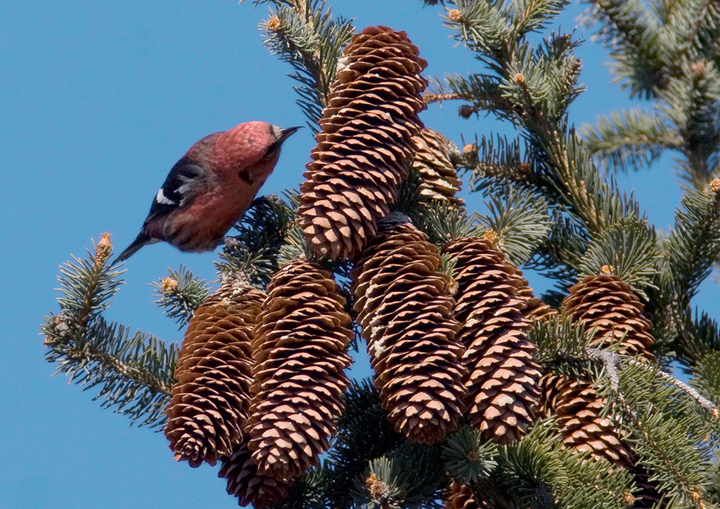 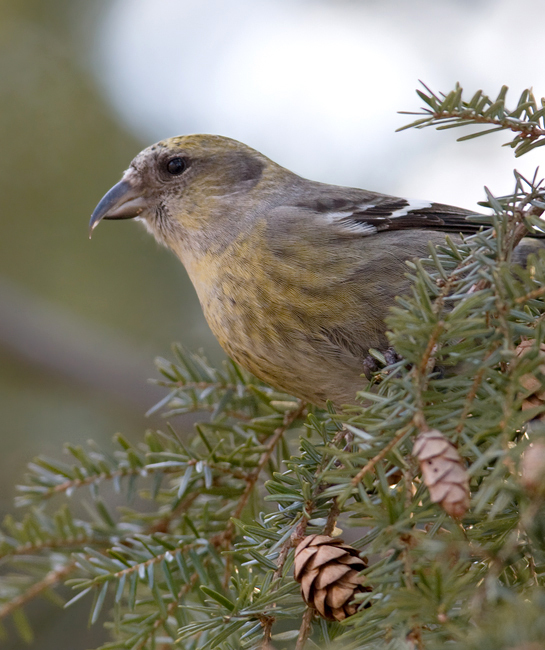 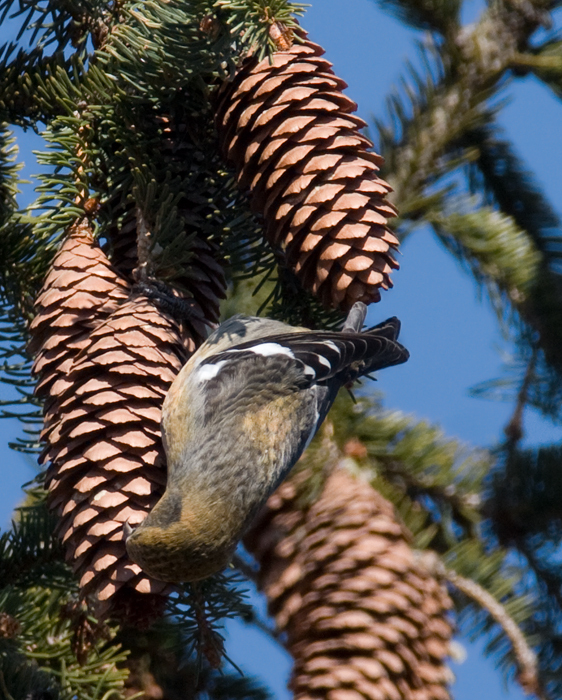 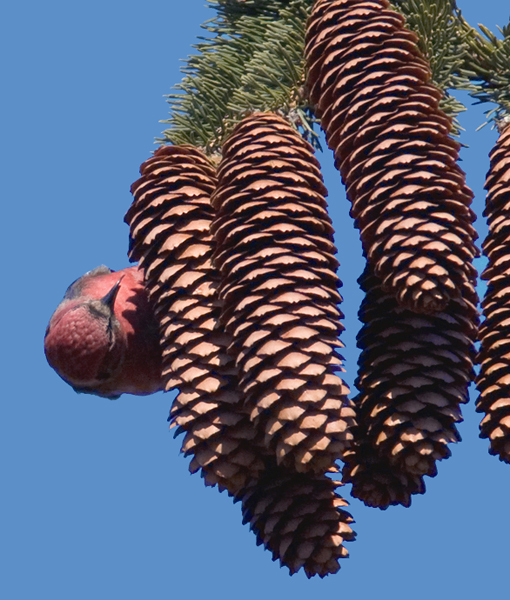 The White-winged Crossbill invasion gains momentum in Maryland. 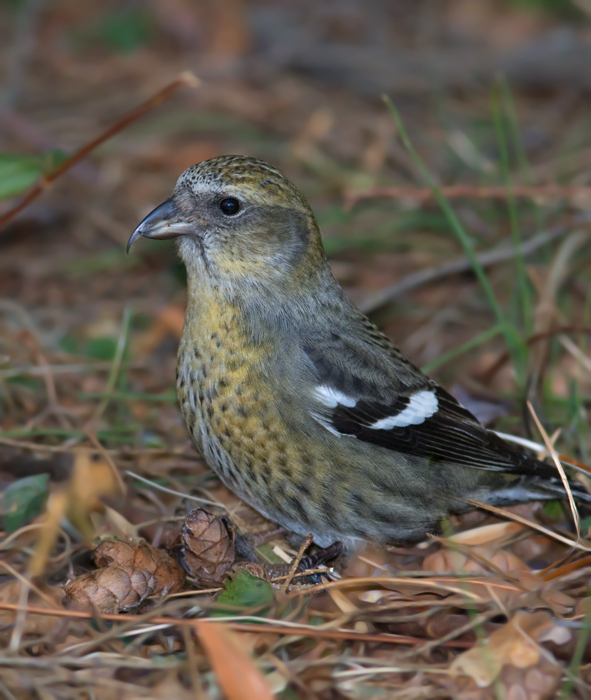 Also, Tyler Bell finds a second MD Barrow's Goldeneye for 2009. 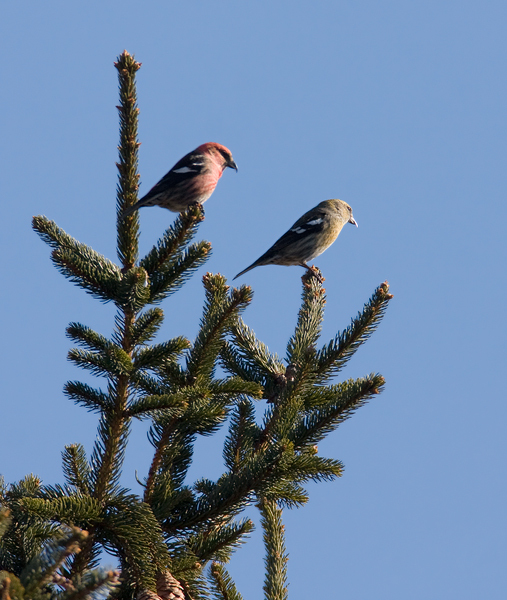 Last updated: 2/8/2009. 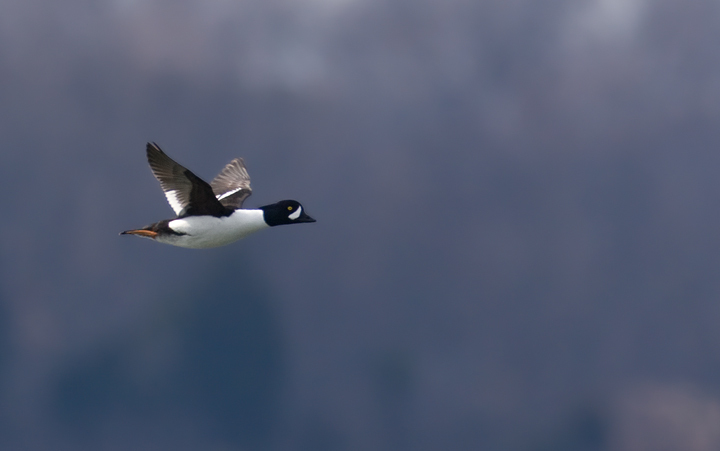 Above: An adult male Barrow's Goldeneye over the Patuxent River in Calvert Co., Maryland (2/8/2009). 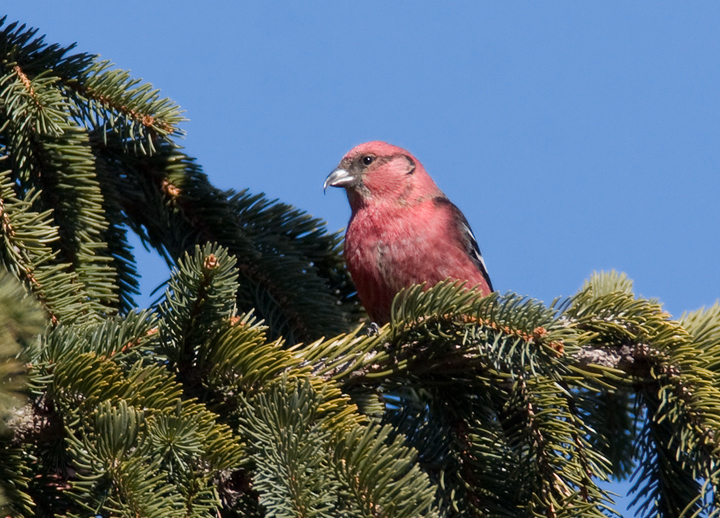 Tyler Bell found this excellent rarity on 2/7/2009. 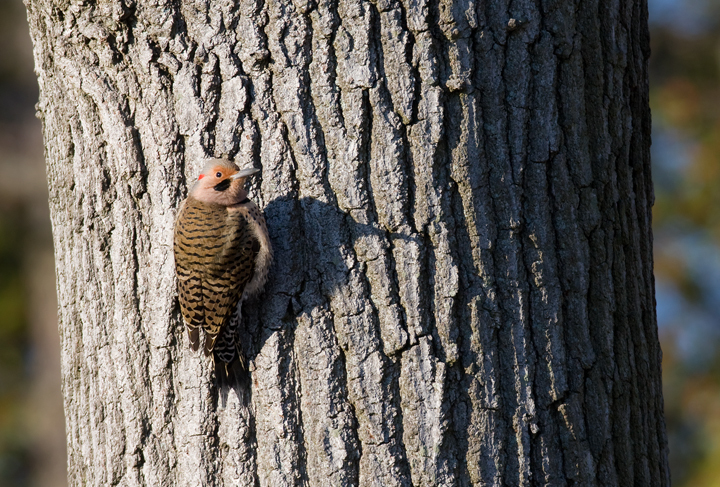 It is the first record of a drake Barrow's and the first record on the western shore of Maryland in almost 10 years. 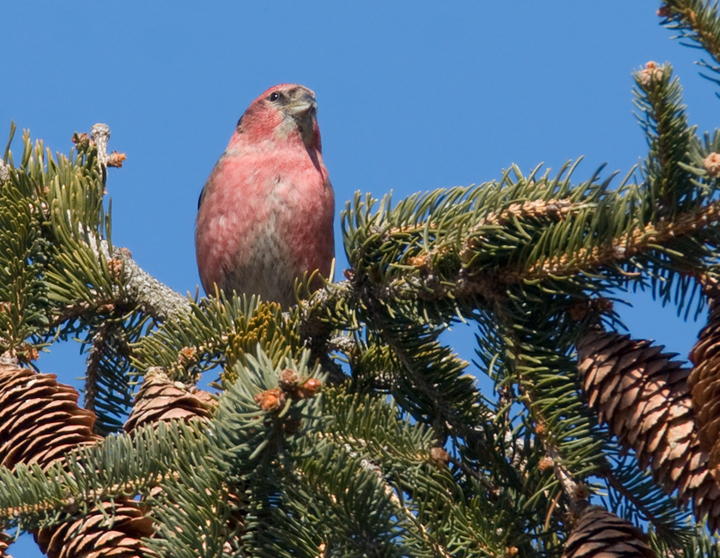 The last drake Barrow's was present off the Patuxent River Naval Air Station from 2/27/1999 to 3/6/1999. 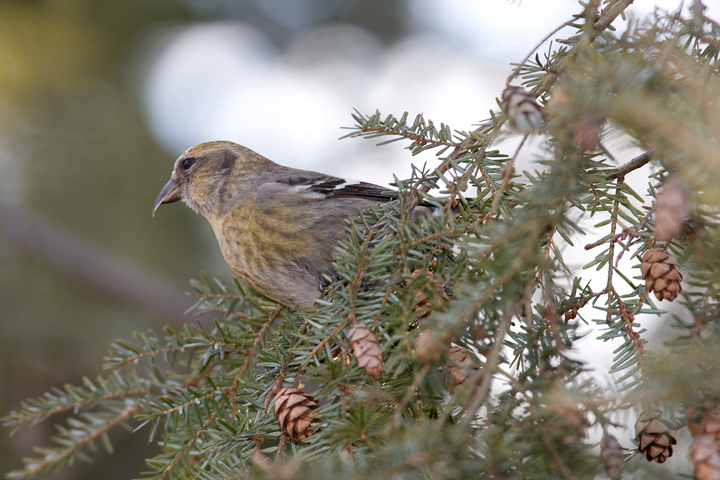 Below: A female White-winged Crossbill in Anne Arundel Co., Maryland (2/7/2009). 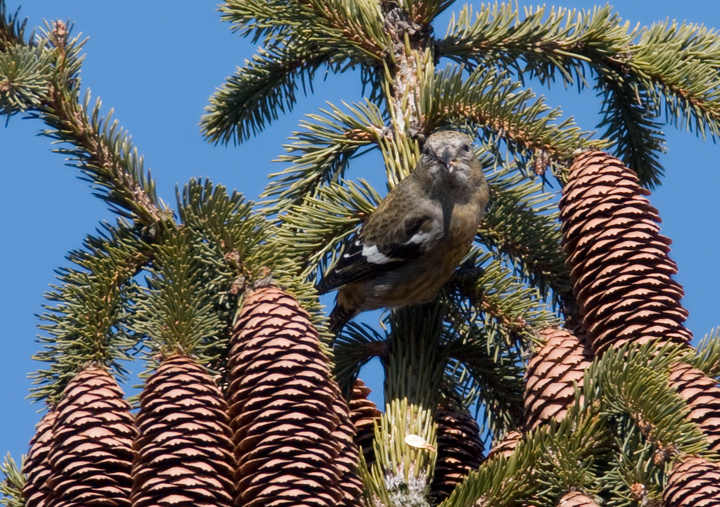 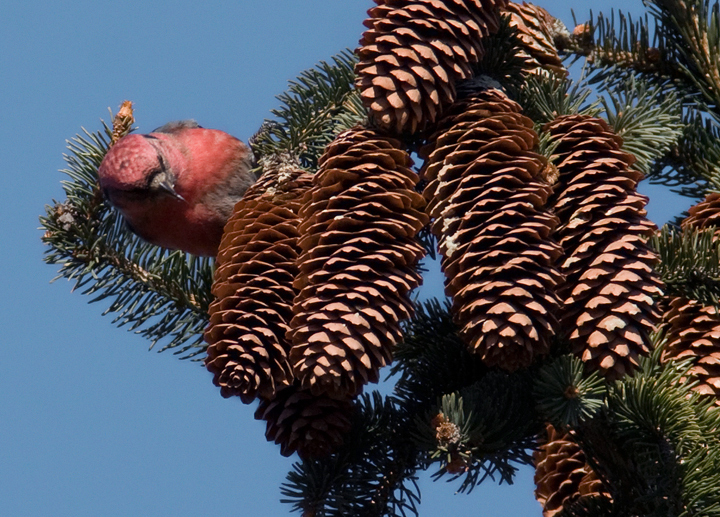 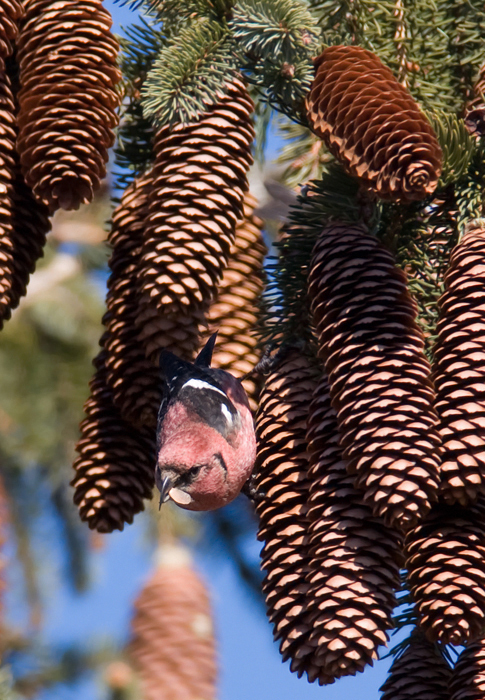 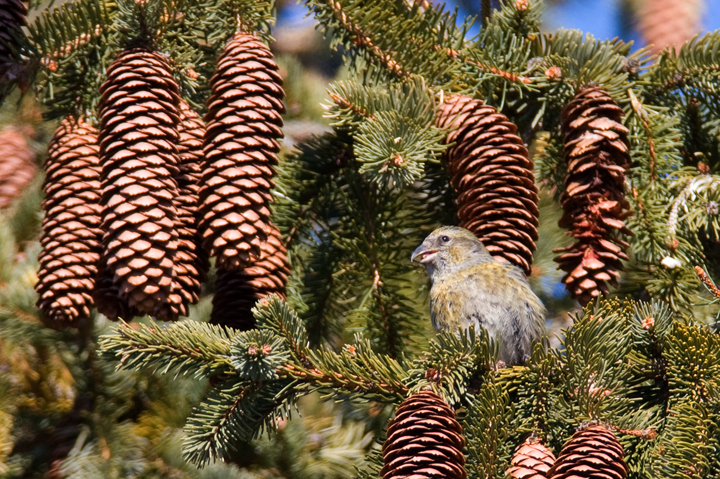 Below: A White-winged Crossbill in a Douglas Fir at Centennial Lake, Howard Co., Maryland (2/11/2009). 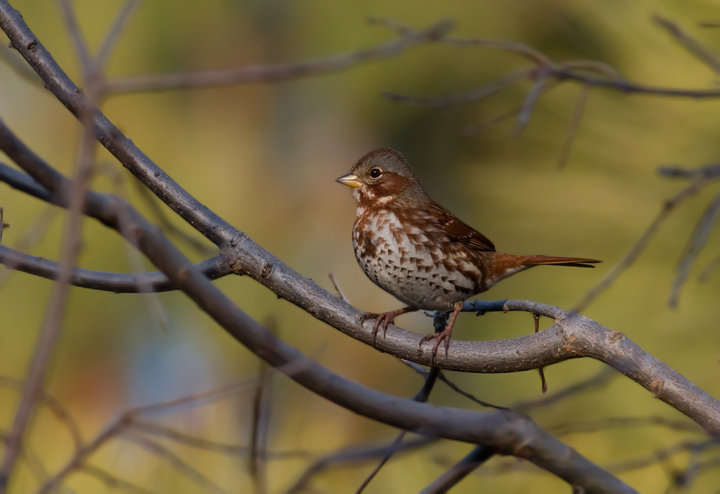 Below: A Fox Sparrow at Point Lookout State Park, Maryland (2/8/2009). 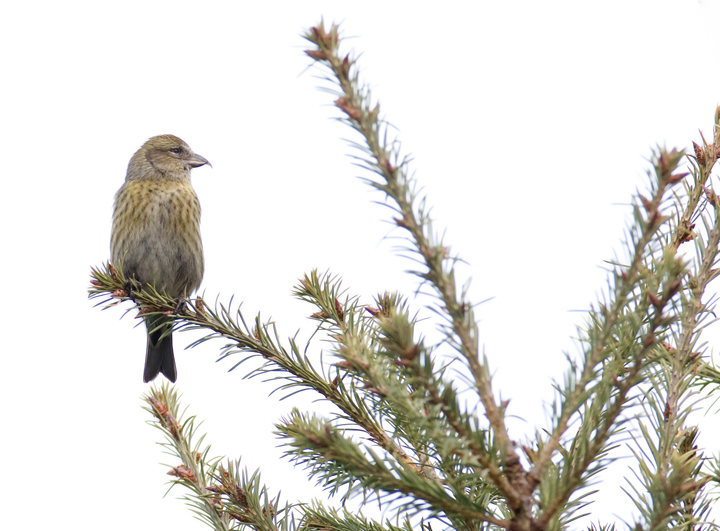 Below: Although I've had decent luck with finding White-winged Crossbills this winter, I finally had the opportunity to study them at length, watch them feeding, and take a lot of photos. 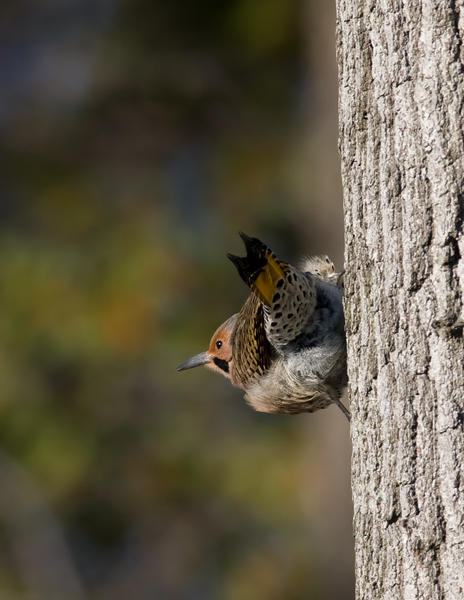 They're really fantastic birds. 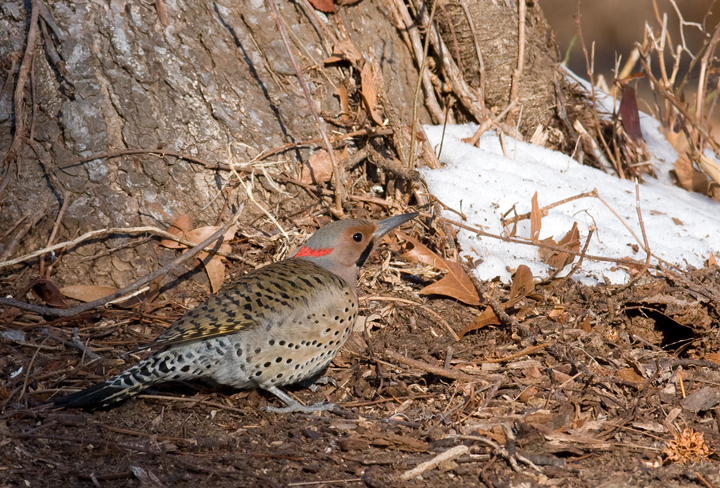 (Frederick Co., Maryland, 2/1/2009). 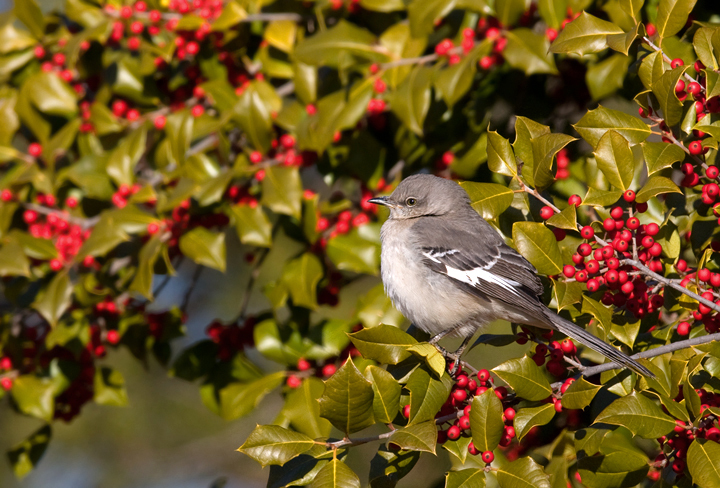 Below: A Northern Mockingbird rules over an abundance of holly berries (Fort Smallwood, Maryland, 1/31/2009). 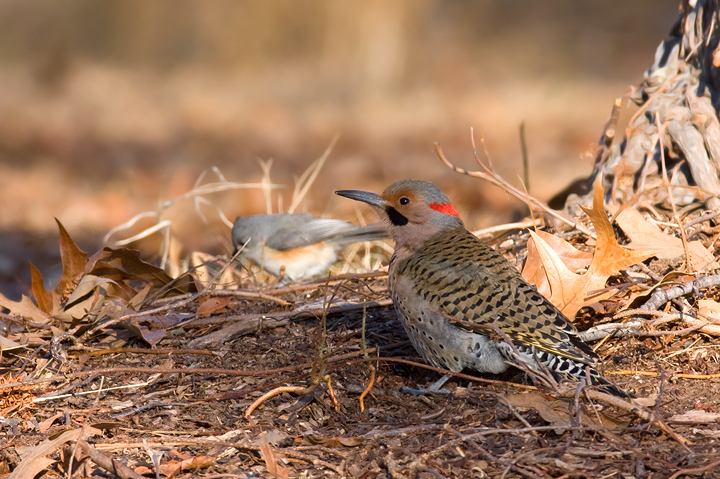 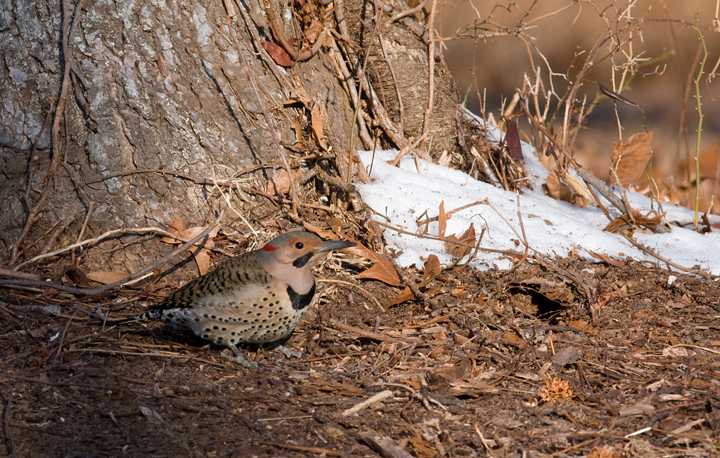 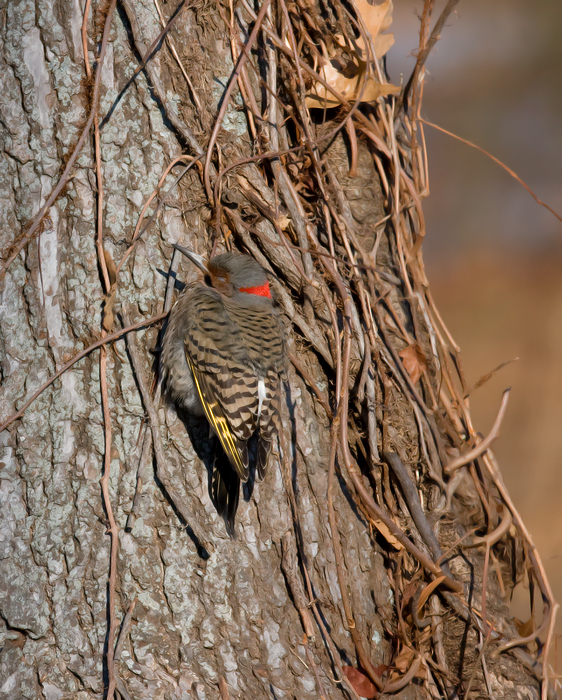 Below: A male Northern Flicker at Fort Smallwood Park, Maryland (1/31/2009).